Matt was a four year starter at Bowling Green State University where he was a part of two conference championships and a regional tournament appearance throughout his four years. Originally recruited as a short stop, Matt spent most of his time as the designated hitter due to injury. 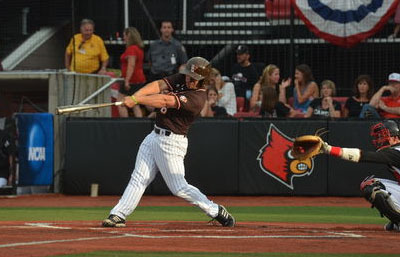 His freshman year he was a 2nd team All-Conference Selection as a DH on the MAC East Champion team with a batting average of .352 and he was in the top five of all offensive categories. Throughout his career he has had the opportunity to play for knowledgable coaches who passed along their knowledge of the game. His high school summer baseball coach, Andy Timko, played in the Minor Leagues for the Baltimore Orioles. His college coach, Dan Schmitz, played in the Minor Leagues with the Yankees Organization. He has had many opportunities to learn from some of the best minds in baseball and has truly become a product of their understanding of the game.